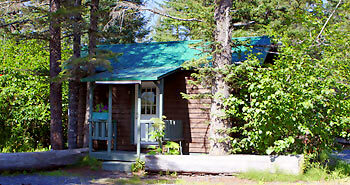 Conveniently located just 2 miles north of Seward, on Exit Glacier Road. 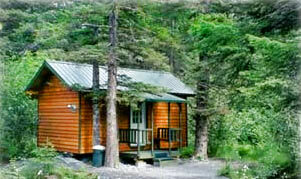 The cabins are nestled just below the glacier, surrounded by a lush green Alaskan landscape.The Exit Glacier Area is a fun destination for visitors of all ages and abilities. Several short trails offer beautiful views of Exit Glacier and its deep blue crevasses, the surrounding snow capped mountains, and the glaciated terrain in the valley. 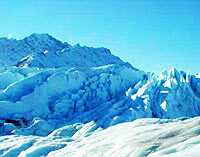 Exit Glacier is the only part of Kenai Fjords National Park that is accessible by road. The turn off to Exit Glacier is at mile 3 of the Seward Highway. The 8.6 mile Exit Glacier Road is paved, making it easily accessible to all types of vehicles, including RV's. 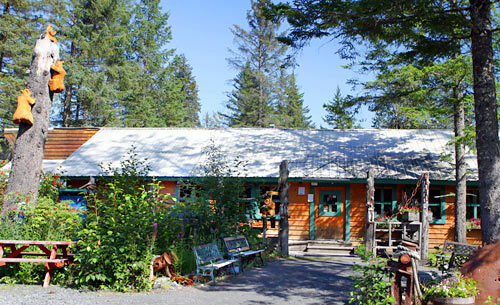 Visit our authentic Alaskan restaurant - Salmon Bake & pub in a quiet wooded setting just down the road from Exit Glacier, the only drive-up glacier in Kenai Fjords National Park.